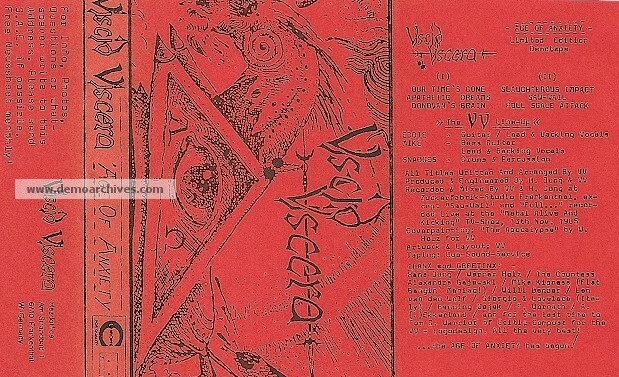 Heavy metal band Viscid Viscera from Germany was formed around 1983 with Eddie - Guitar, Vocals, Mike - Bass, Vocals, Snadges - Drums. Xeroxed red covers. 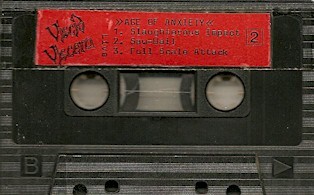 Recorded onto studio tapes. Tom G. Warrior of Celtic Frost designed the logo.